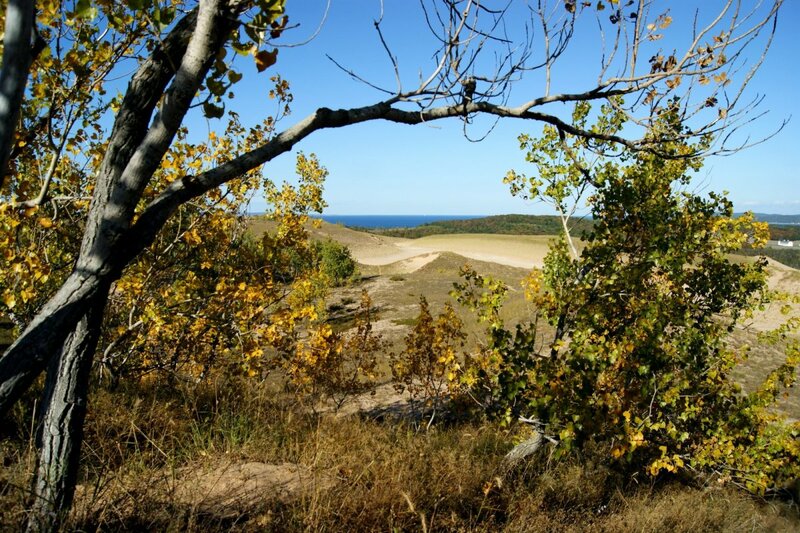 This article is full of photographs of Sleeping Bear Dunes National Lakeshore and describes many things a visitor can do while in the area. 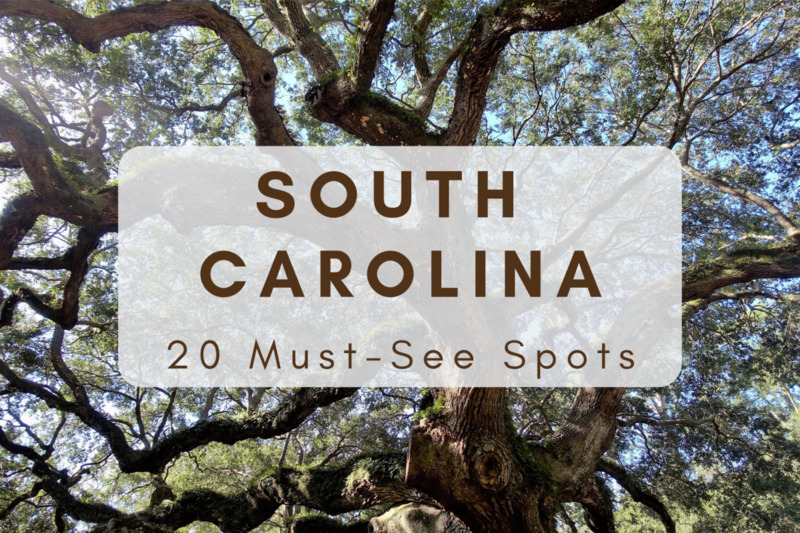 A map gives details about some of the best places to venture while visiting. 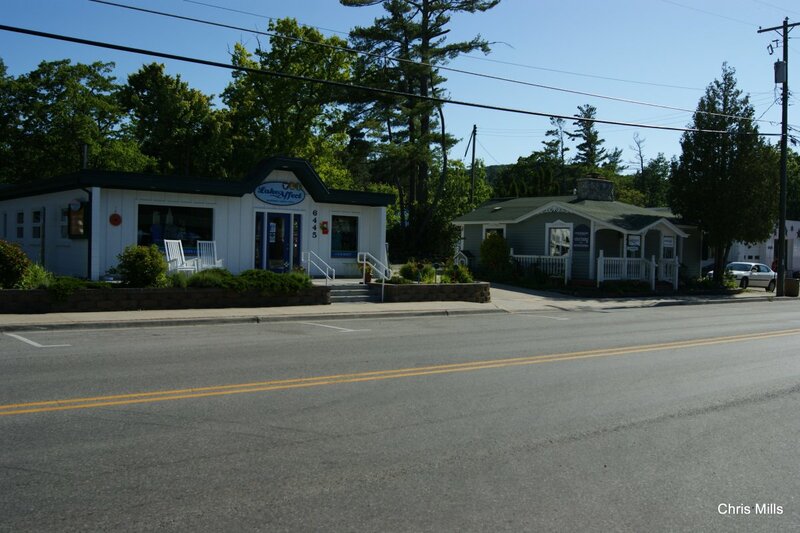 Lodging and local restaurant information is also provided. 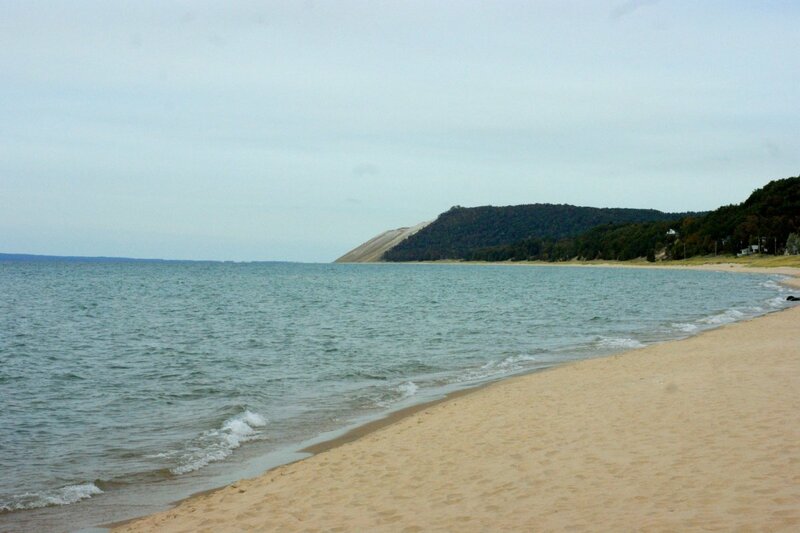 Sleeping Bear Dunes National Lakeshore was authorized by an act of the United States Congress on October 21, 1970. 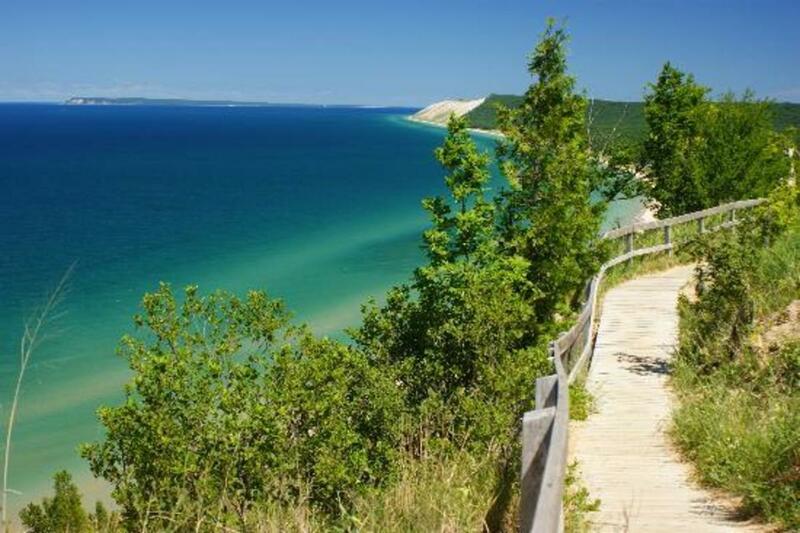 Located on the northwest shoreline of the lower peninsula of Michigan, Sleeping Bear Dunes covers 71,000 acres and includes a 35 mile stretch of Lake Michigan shoreline as well as North and South Manitou Islands. 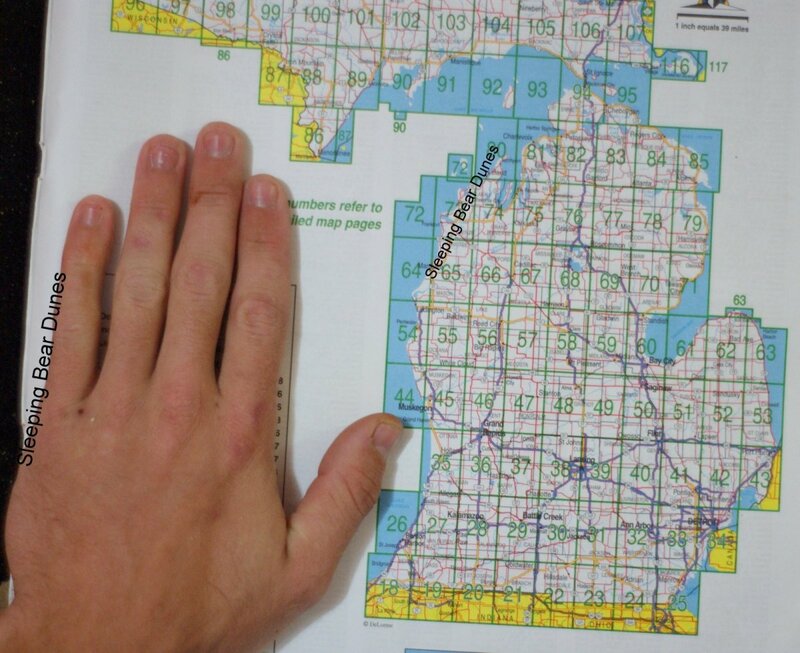 The following Michigan map identifies the names and locations of a few of my favorite places in the park. 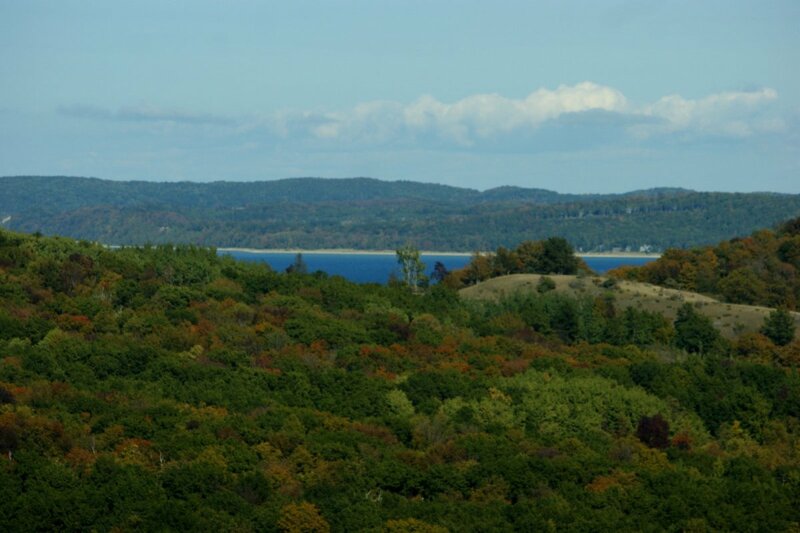 While the park itself may seem remote, the city of Traverse City is only a half hour drive from most places in the park. 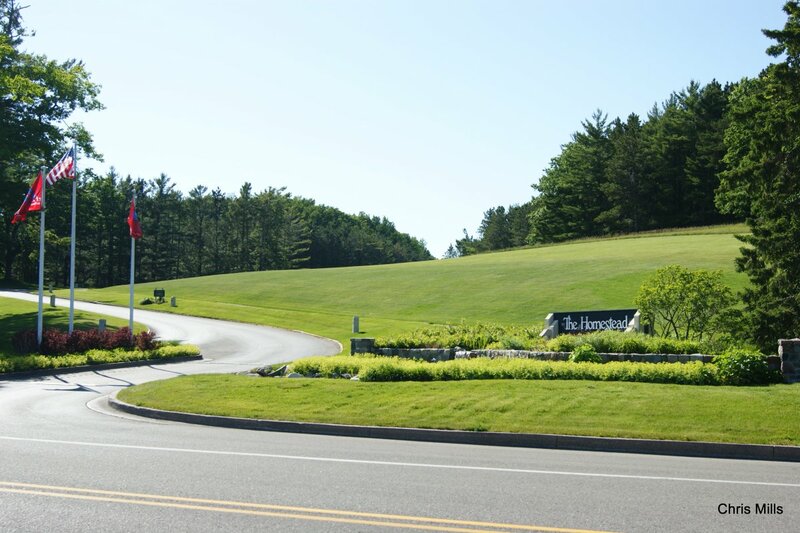 Traverse City is a vibrant city featuring many festivals and activities throughout the year. 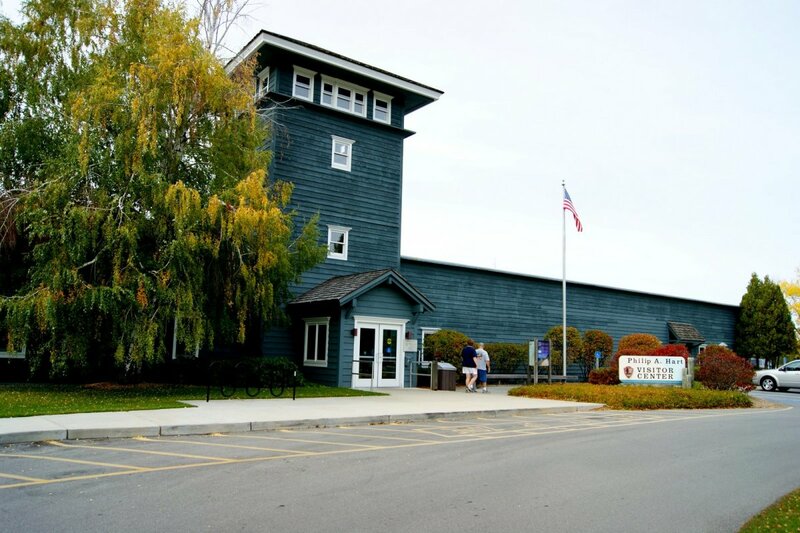 The Visitors' Center has exhibits, maps and information about the National Lakeshore. 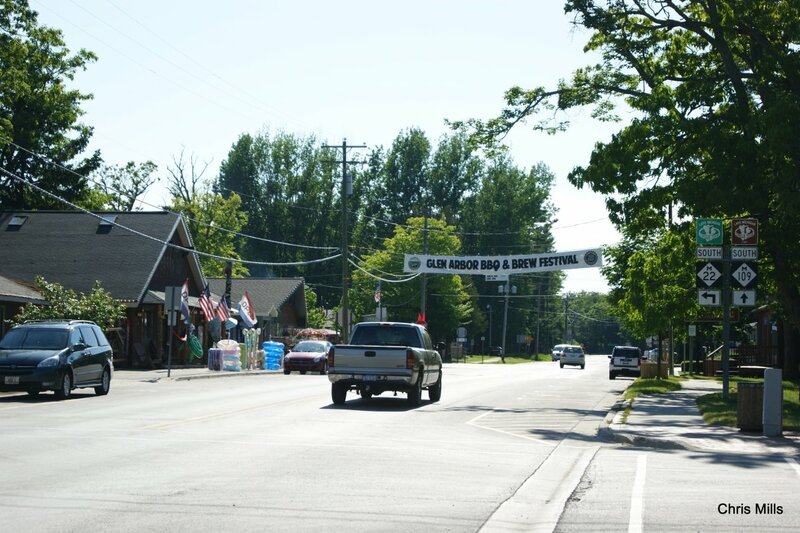 The village of Glen Arbor is surrounded by the National Lakeshore and is a center of activity for visitors. (Photo album included later in article). 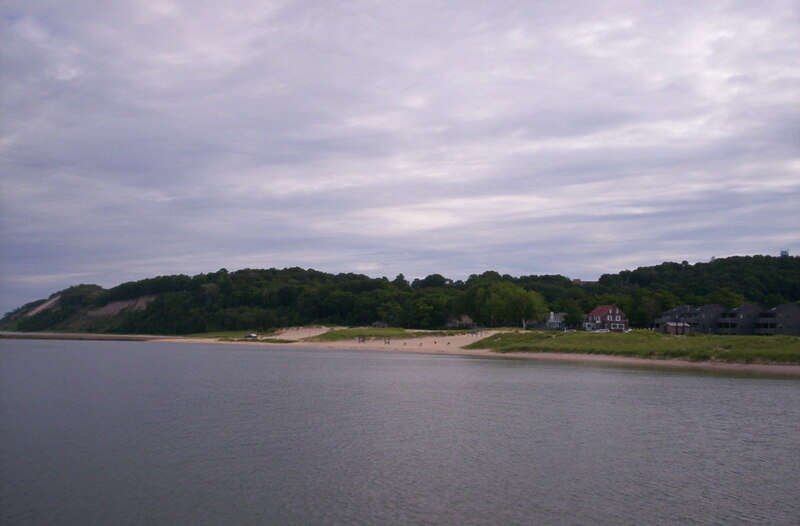 Ferry service for the Manitou Islands originates at Fishtown in Leland, Michigan. Go to http://www.manitoutransit.com/ for details. 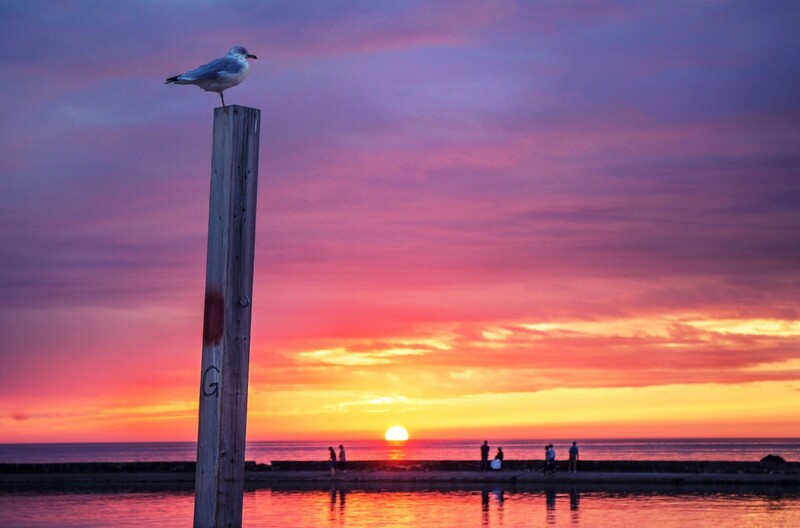 While Leland is not within the National Lakeshore property, ferry service to the Lakeshore's Manitou Islands originates at Leland's historic Fishtown. 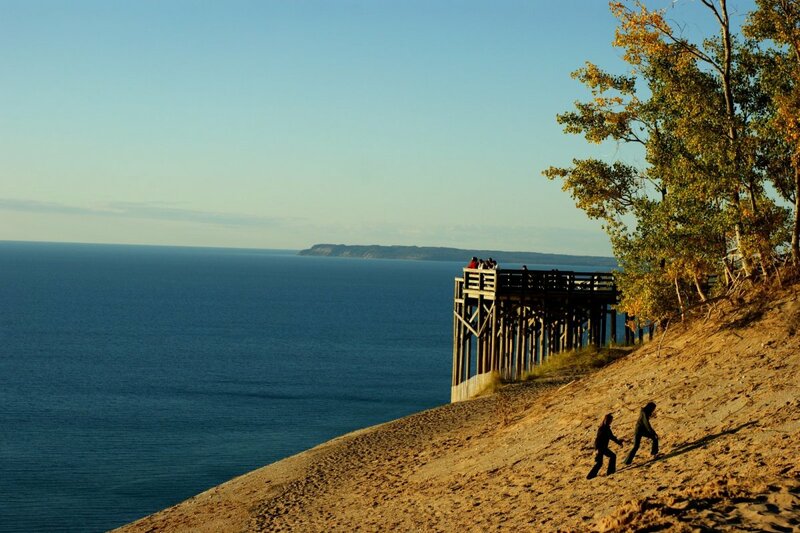 Pyramid Point is a natural overlook of Lake Michigan and the Manitou Islands. It rises 250 feet above the Lake and is a popular place for photography. 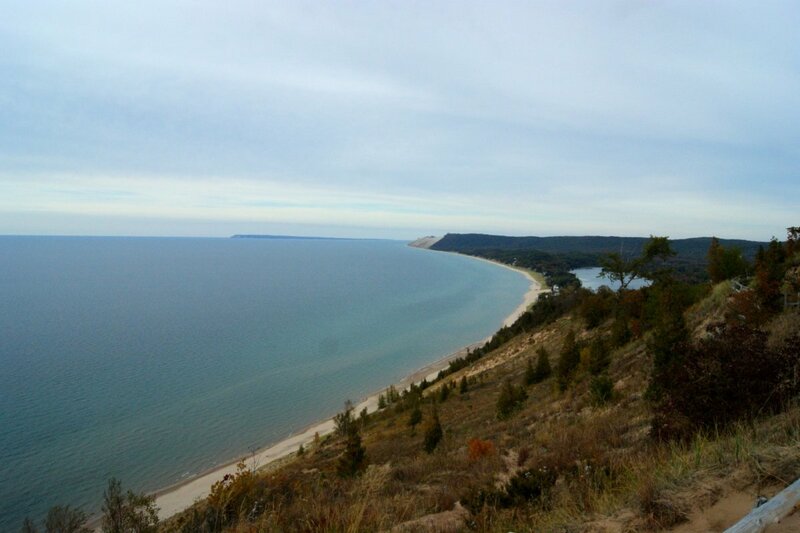 Miles of beautiful beaches and the fresh water of Lake Michigan. 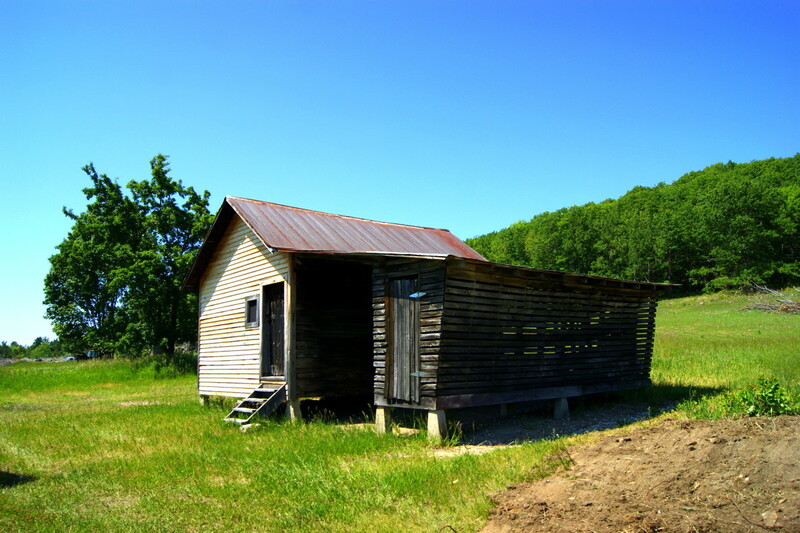 Glen Haven is an historic village built around logging, shipping and the nearby Coast Guard Station. 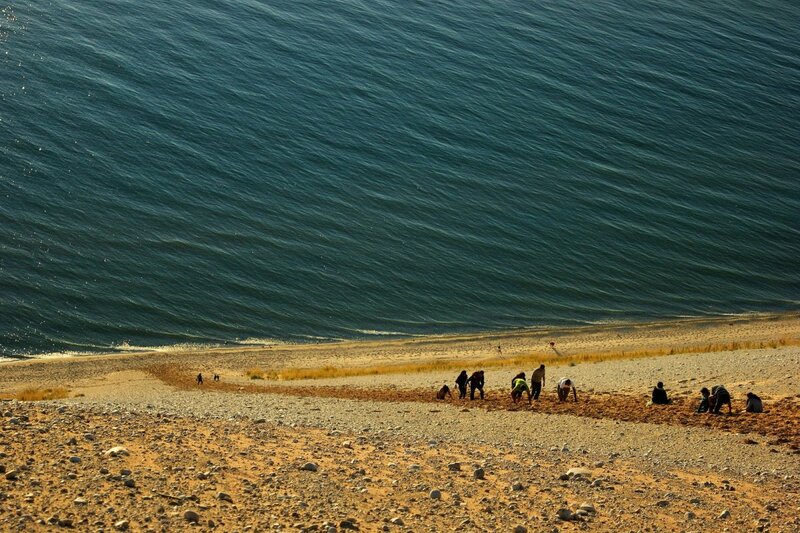 Climb to the top of the dunes and experience the magnificent views in all directions. The Heritage Bike Trail starts here as well. 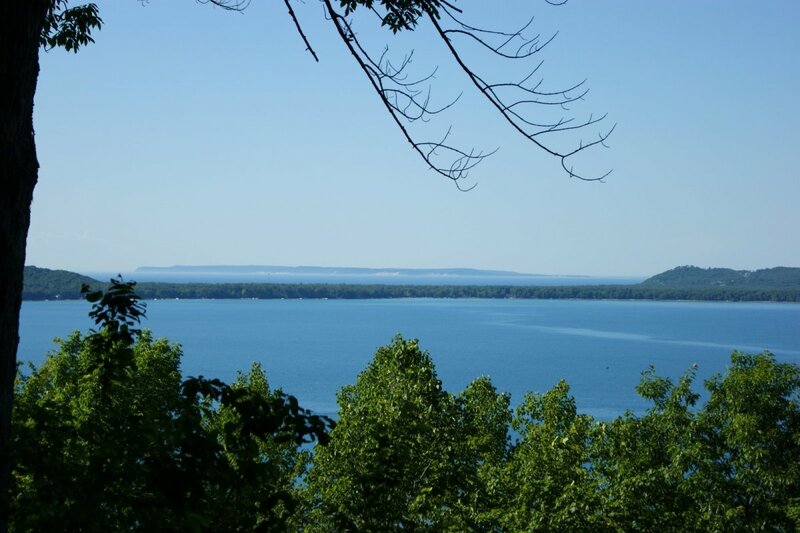 This is a view of Glen Lake from Inspiration Point Overlook. 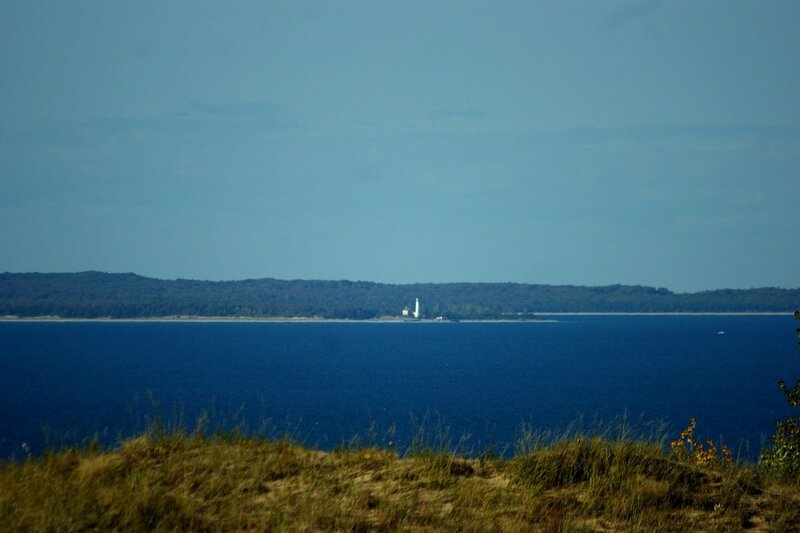 In the distance is North Manitou Island. 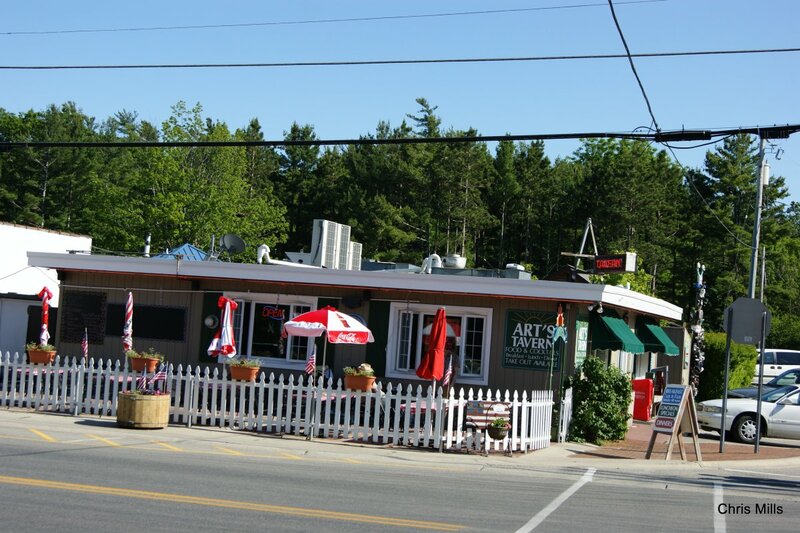 On the narrow strip of land in the middle is the village of Glen Arbor surrounded by National Lakeshore property. Inspiration Point is a great place to take your significant other for a little romantic atmosphere. 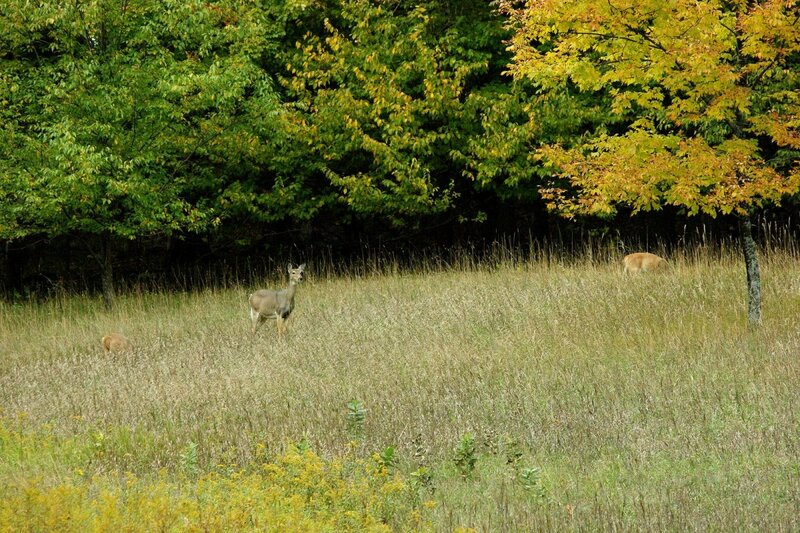 Life On The 45th Photography showcases the beautiful areas of Glen Arbor, Empire, Leland, Frankfort, and other cities that lie along the 45th Parallel. This is outstanding photography from a local. There is a lot of information on this site. I will provide the link so you won't miss a thing. This is the first trail in the Park on which bicycles have been allowed. 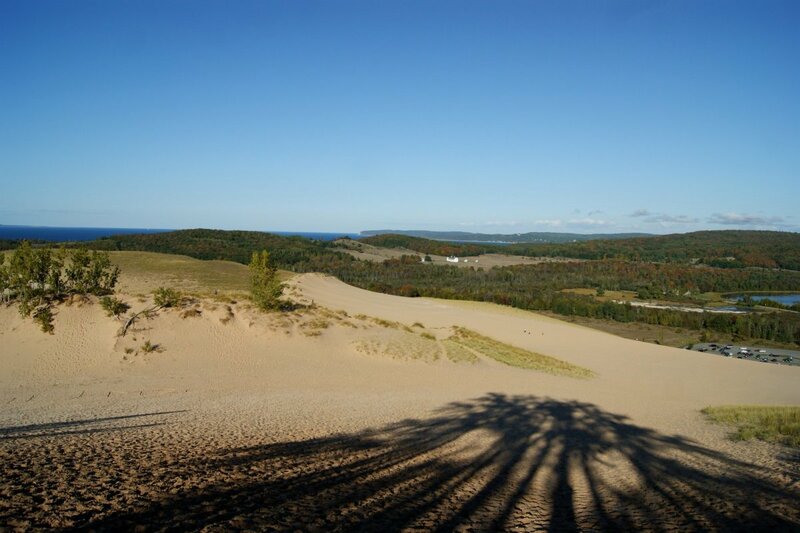 It's a great ride between Glen Arbor and The Dune Climb. 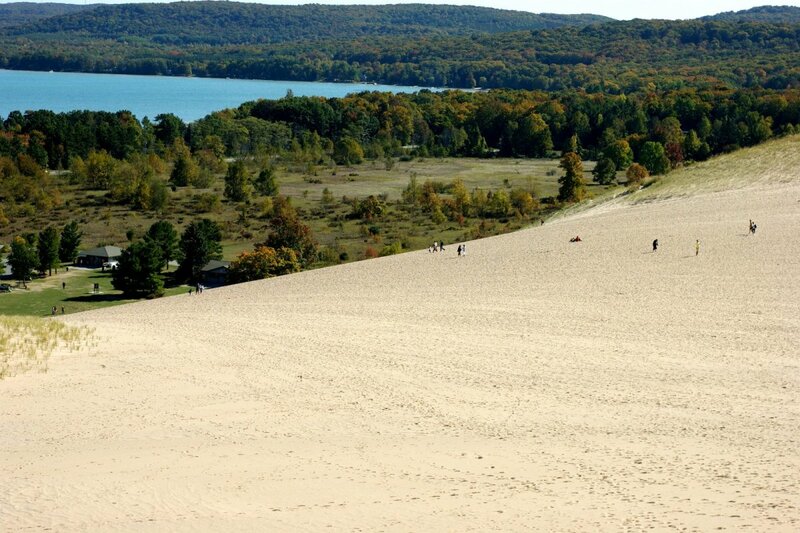 The Sleeping Bear Dunes National Park/Lakeshore Dune Climb, located at the west end of Little Glen Lake on highway 109, is a popular place for families. My son's first "climb" here was when he was just a few days old. I carried him up in a front pack. The kids can run to the top and back down again while Mom and Dad either struggle to the top or wait at a picnic table at the bottom, sipping a soft drink. 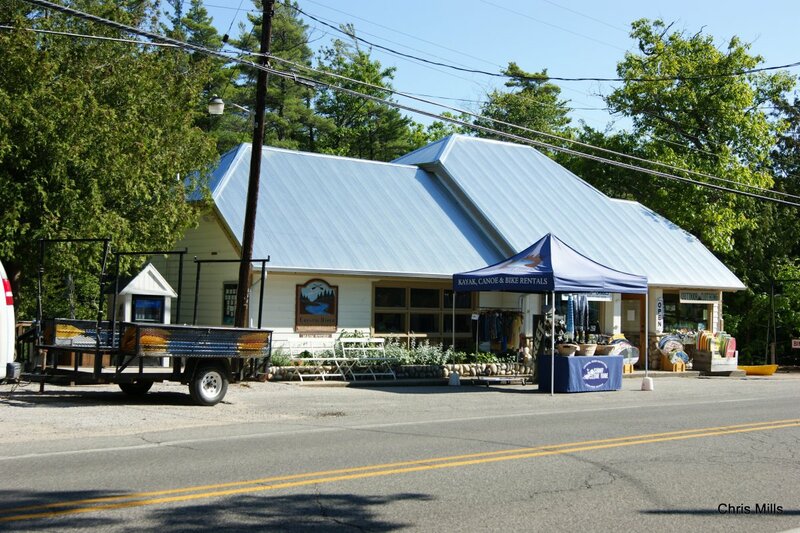 A Park store at this location can supply the beverages. 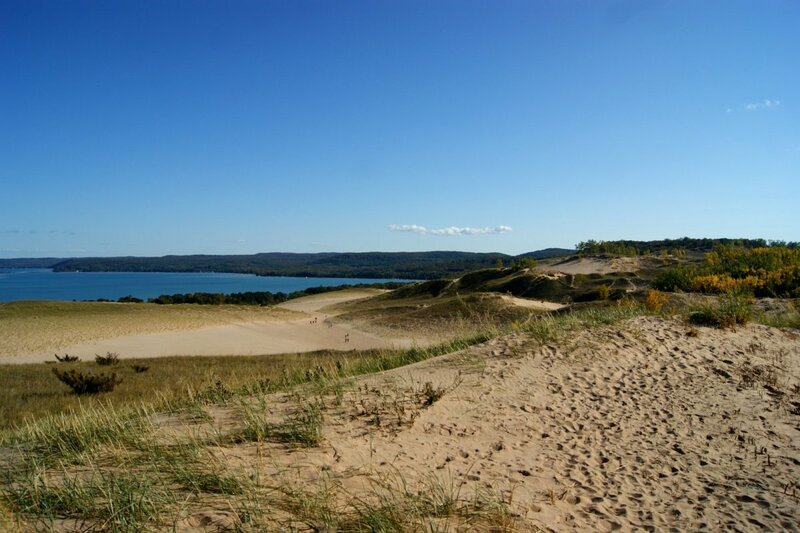 A one and a half mile hike across the dunes (after the climb of course) will offer the reward of a refreshing dip in Lake Michigan before the hike back. 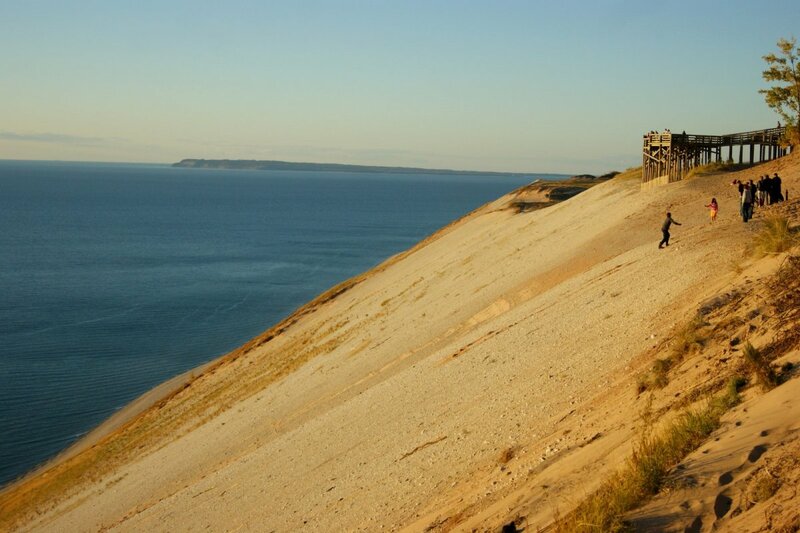 When I was doing a lot of running, I once ran across the dunes and back. I got a lot of strange looks and probably a few comments after I passed. 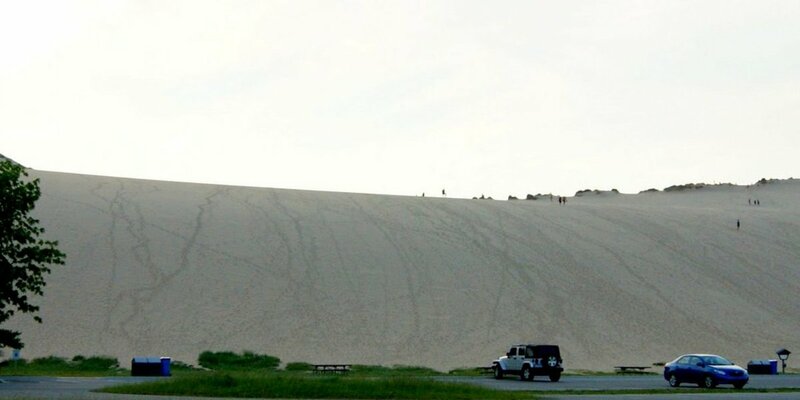 Be sure to wear sun screen and take plenty of water if you take on this challenge. 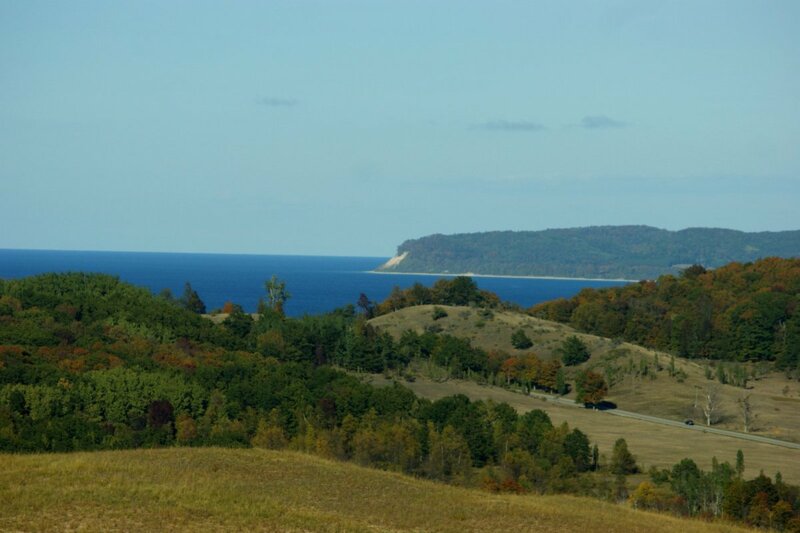 The Sleeping Bear Dunes is actually a perched dune, which means it sits on top of hills, called moraines, which were left behind by glaciers. The dunes are moving. 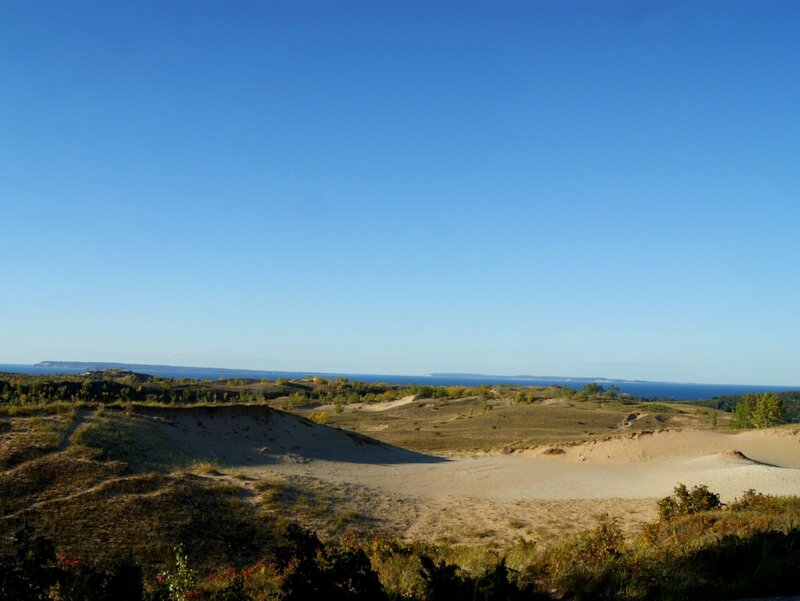 As the wind blows off Lake Michigan, more and more sand is deposited on the dunes. In addition, the wind is slowly moving the dunes toward and into nearby Little Glen Lake which at its current deepest is 12 feet. It used to be over 100 feet deep. 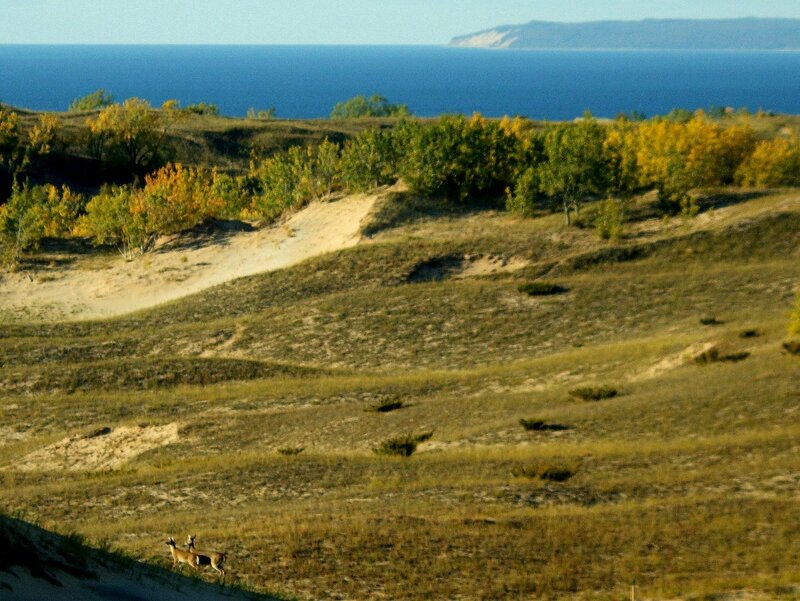 View of the "Mother Bear and Her Twins"
The scenery from on top of the dunes is breath taking, especially at sunset. 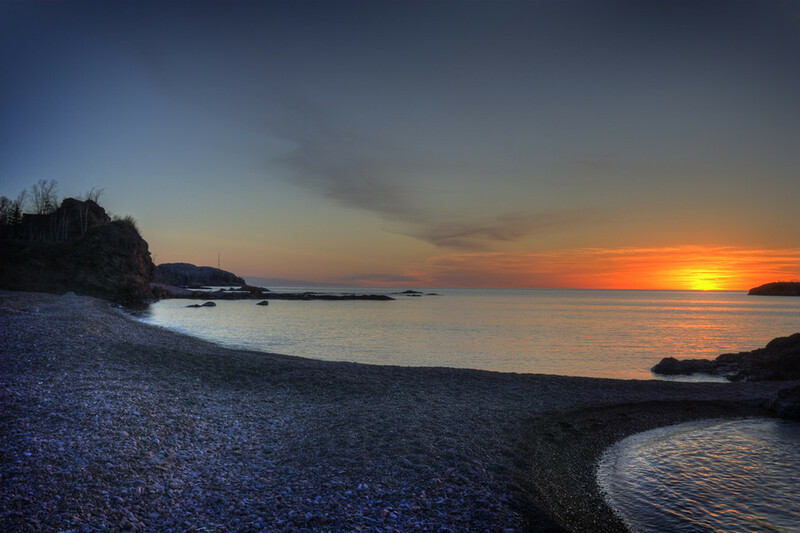 Locals and visitors will go out and just sit in the sand as the sun sinks below the horizon. 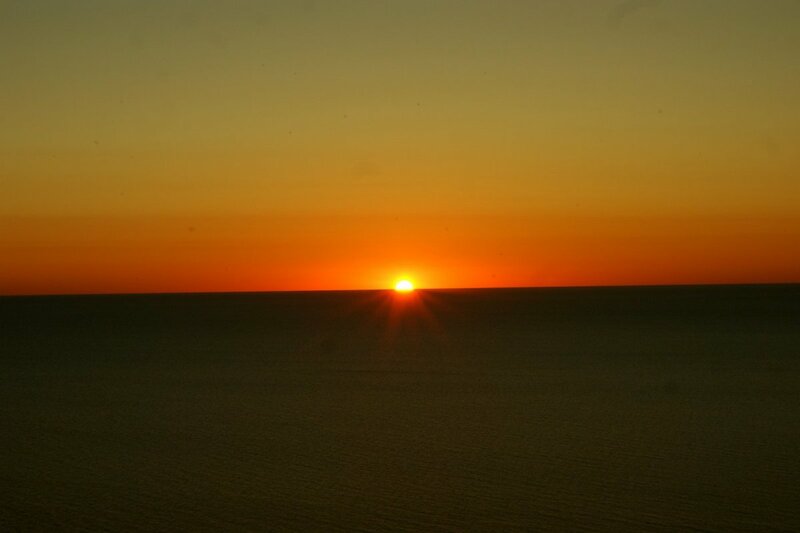 Binoculars will aid in viewing the distant North and South Manitou Islands. My sons spent five days camping and hiking on both Islands and had a great time, although it did rain quite a bit. It was fine with them though. They just sat on the covered porch of one of the restored buildings and played cards. The ferry will also transport canoes and kayaks that can be used in Lake Michigan, on Florence Lake on South Manitou and on Lake Manitou on the North Island. “Long ago, along the Wisconsin shoreline, a mother bear and her two cubs were driven into Lake Michigan by a raging forest fire. The bears swam for many hours, but eventually the cubs tired and lagged behind. Mother bear reached the shore and climbed to the top of a high bluff to watch and wait for her cubs. Too tired to continue, the cubs drowned within sight of the shore. The Great Spirit Manitou created two islands to mark the spot where the cubs disappeared and then created a solitary dune to represent the faithful mother bear”. 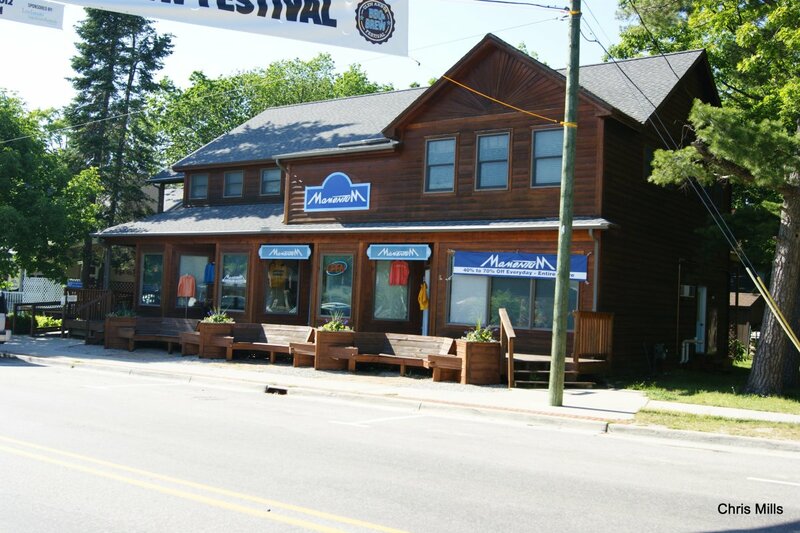 The Manitou Islands can be visited by taking the Manitou Island Transit ferry from Leland, Michigan. See their web site for details. Day hikes and overnight camping are just two of the company's offerings. 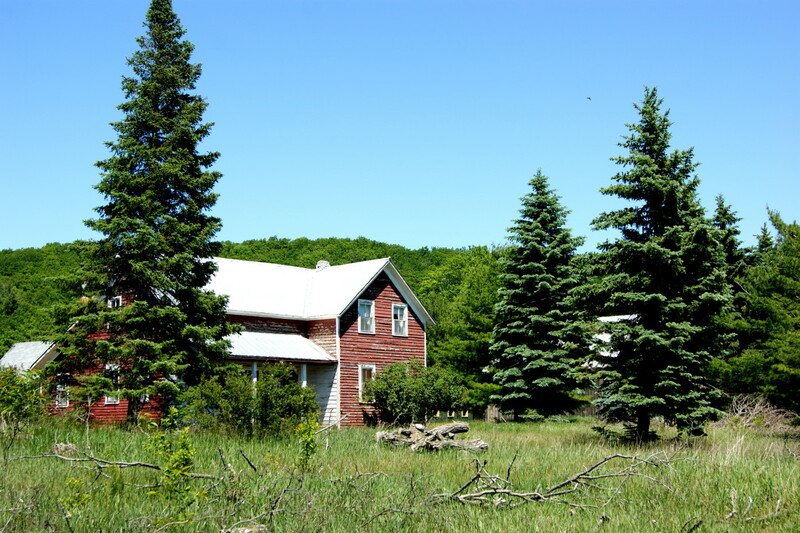 Some activities on the island are back packing, camping, visiting the lighthouse (South Manitou) and other historic buildings which are being restored. 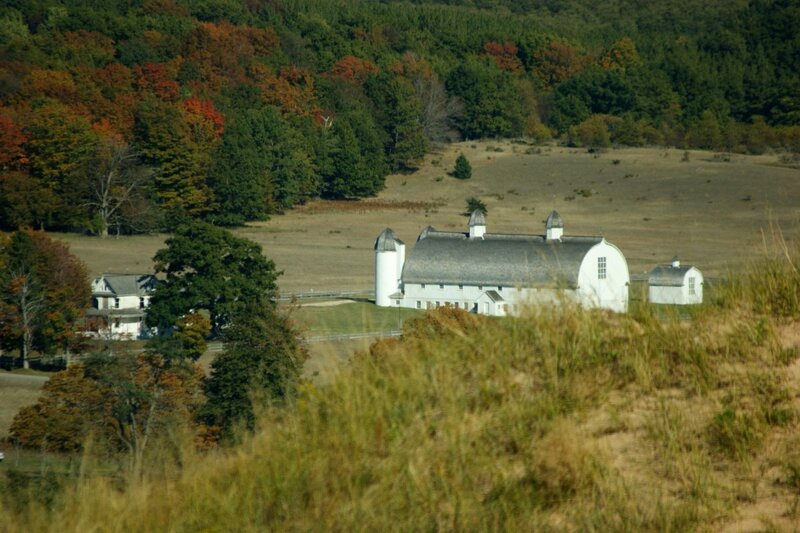 Port Oneida is the largest and most complete historic agricultural landscape in public ownership in the U.S. Every August, the Port Oneida Fair is held on six historic sites in the Port Oneida Rural Historic District of Sleeping Bear Dunes National Lakeshore. 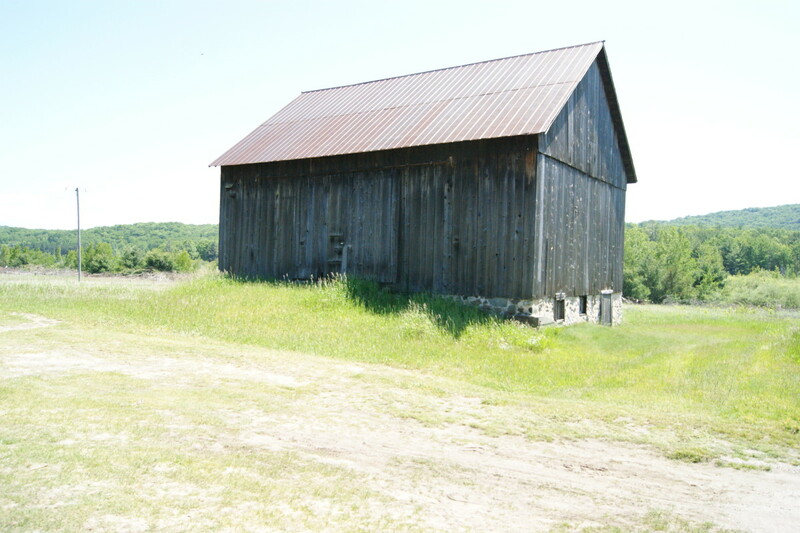 The sites are located about 4 miles north of Glen Arbor on M22. This is another great family event that is getting better each year. 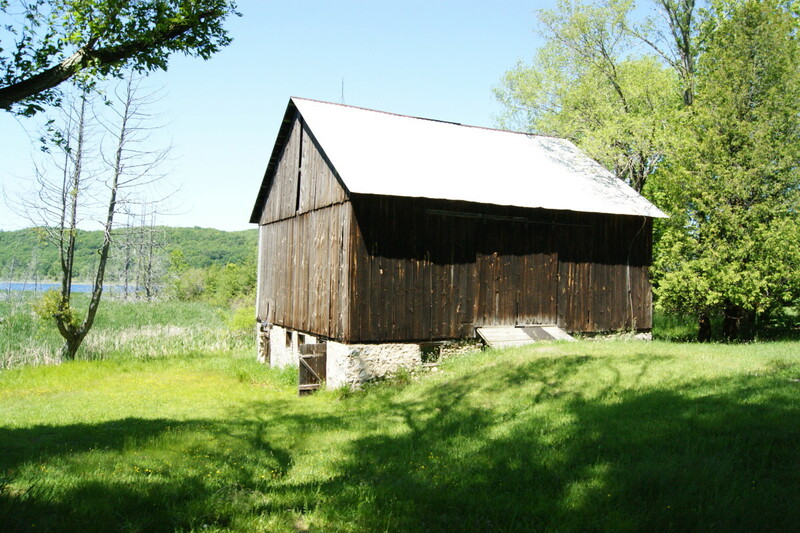 They have demonstrations of farm life during the pioneering of the area., including timber framing for barn restoration, horse drawn hay balers, hand crafts and a lot more. 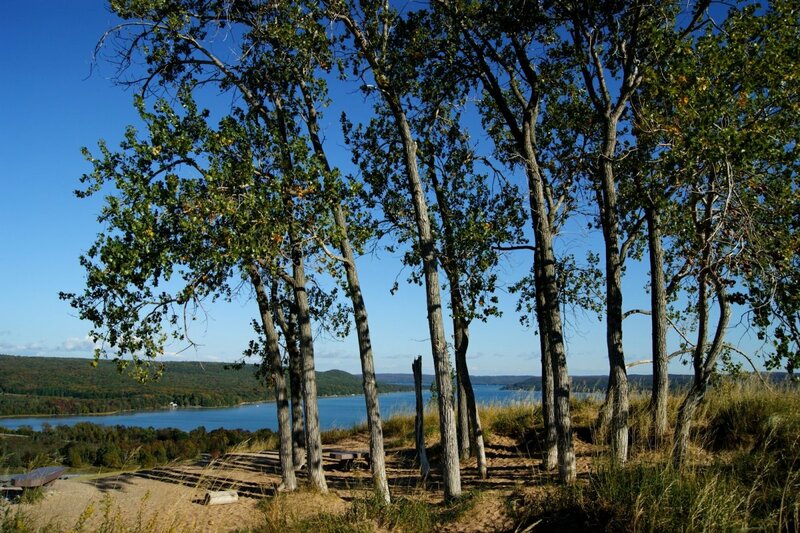 The village of Glen Arbor, Michigan sits squarely in the middle of the Sleeping Bear Dunes National Park/Lakeshore. 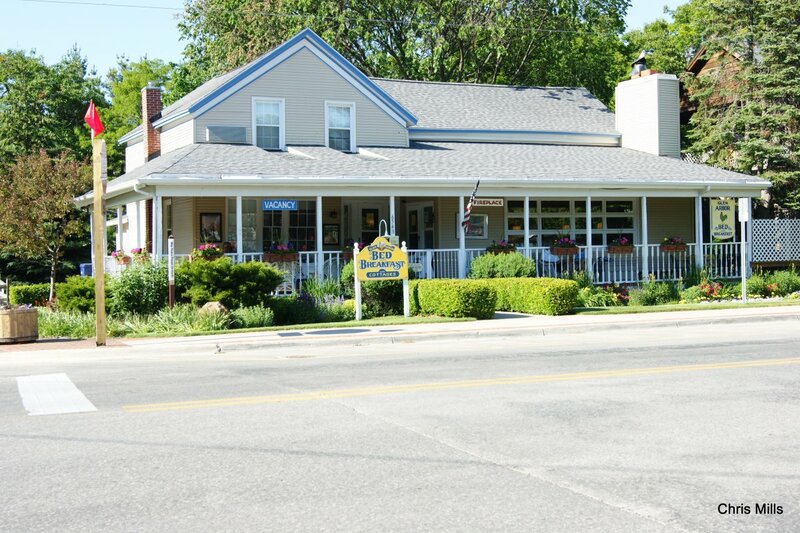 Here are some photos of Glen Arbor and nearby Burdickville showing restaurants, B&Bs, and shopping, as well as a link to the village website. 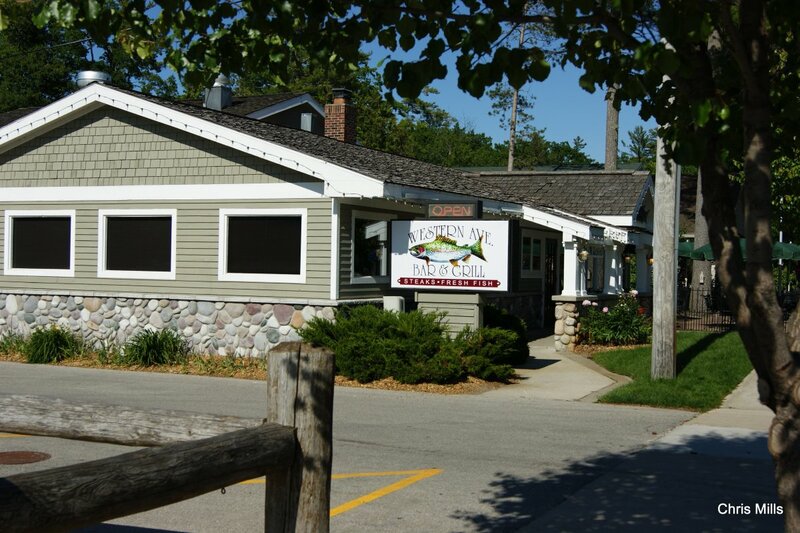 My favorite restaurants are Boonedocks, for their fish fry special and Funistrada for Italian Cuisine, which is a bit pricey, but well worth it. 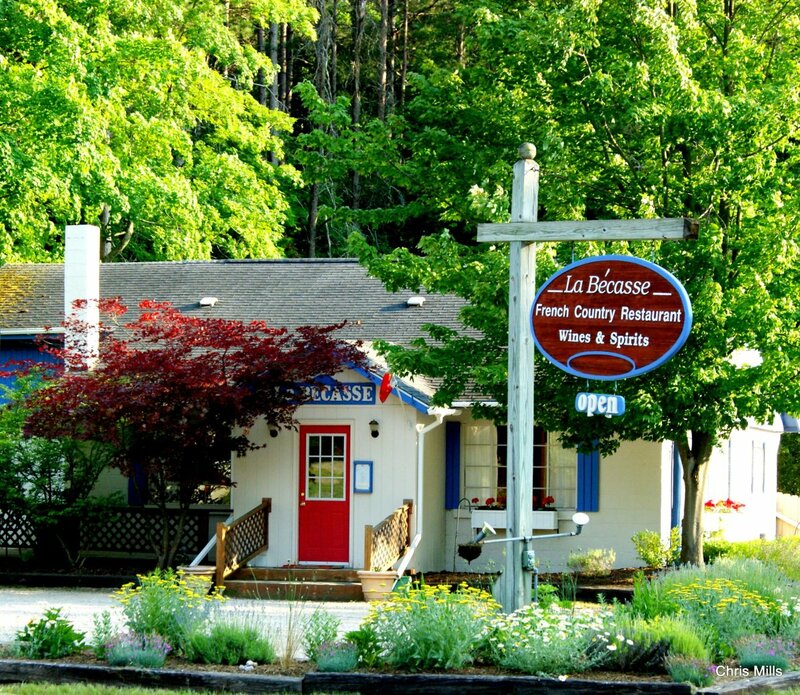 This is a wonderful place to visit, especially if you come during one of our local festivals. 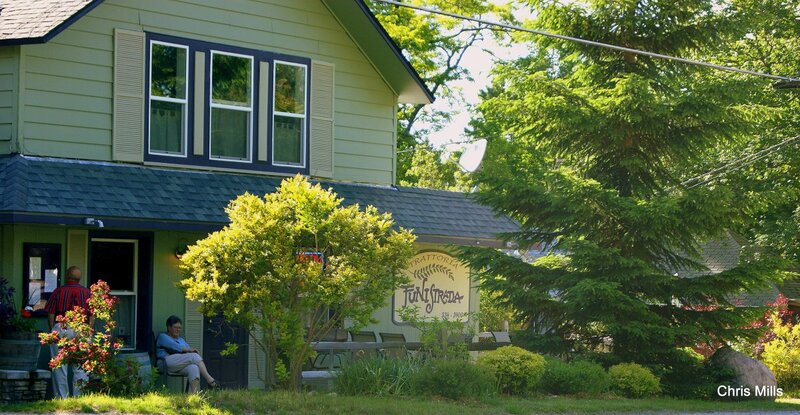 I am including links for Traverse City's National Cherry Festival and The Traverse City Film Festival. The Greater Traverse City area is known as The Cherry Capitol of the World. The Film Festival was founded and is still directed by film maker, Michael Moore who lives in the area. Both events are exceptional. That's It. 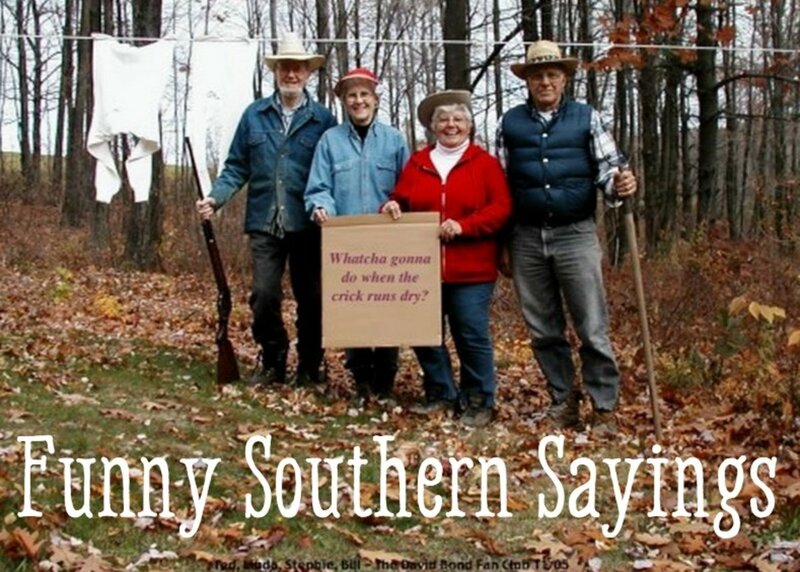 And it's all yours as a part of the National Park system of our great country. 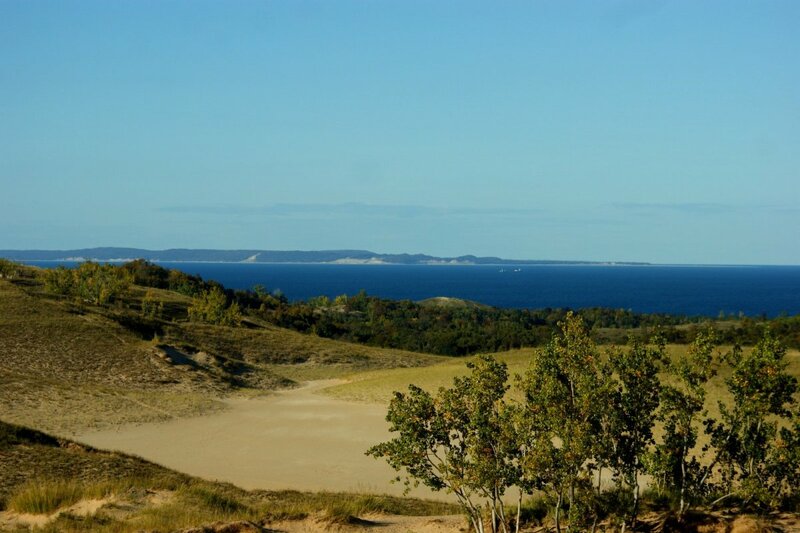 Thank you for taking the time to go on this little tour of Sleeping Bear Dunes National Lakeshore. I am excited to share it with you and I hope you have enjoyed reading and browsing through the photos. If you ever visit, leave me a comment. I'd love to give you some tips on my favorite places in the Park. The rest is information that should be helpful for anyone visiting the area. We look forward to your visit. I left your comment hanging for a while. I appreciate your comments about the pics and the work. As far as the festival is concerned, there are people on both sides of anything, such as the Cherry Festival, for example. Some people in the area like the film festival, some don't. I'm searching for your point. Nice pics and nice work. I have no use for the film festival. A lot of people in the area agree with me. Tyler,, if you have any questions or need anything during your visit, let me know. 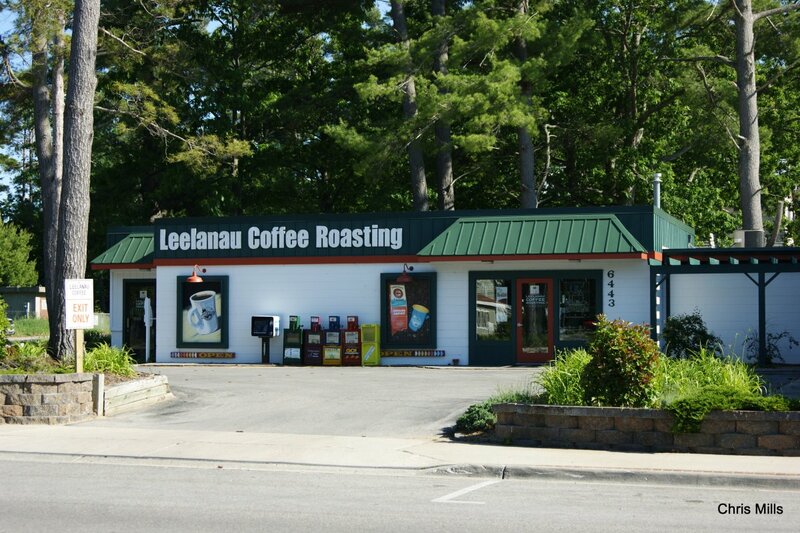 My sons are in Maple City, which is in the center of Leelanau County. Glad you found the article. ezloanlookup, thanks for stopping by and reading my article. 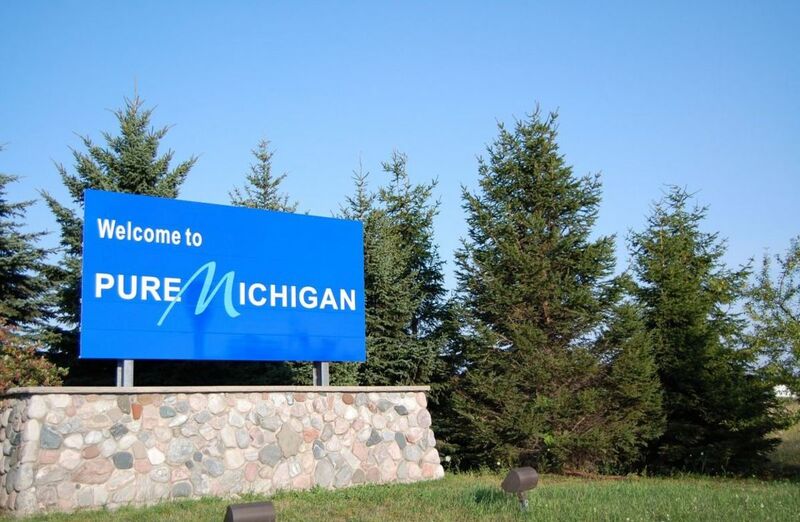 Michigan is a wonderful state. I'm glad you have had the opportunity to enjoy it. kathi, I am glad you enjoyed the hub. I've just finished reading and commenting on two of your very fine hubs as well. 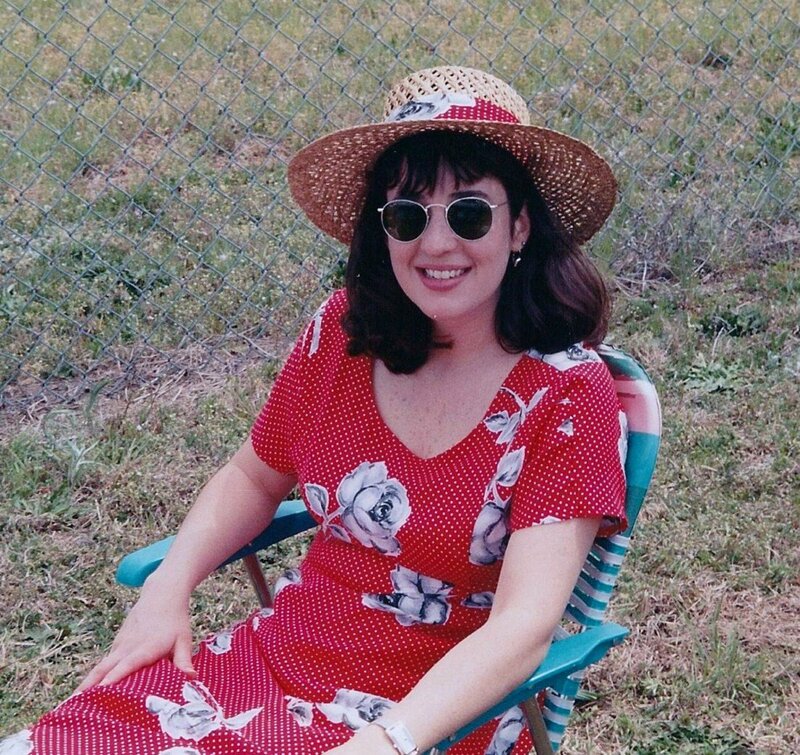 I've been a rock hound and fossil hunter since I was a child in Indiana. I also visited your website and am going to take a stab at some of the "Mystery fossils." It is nice to meet you. James, thank you for reading and for the comments. 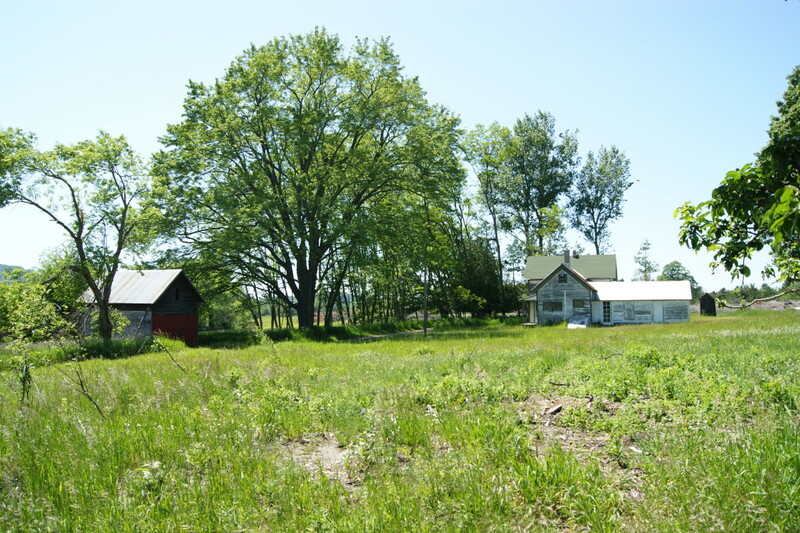 Little Glen is directly in the path of the dunes and will someday disappear, as will all of the homes on the lake. A person can still catch nice perch there though. Thank you very much for this fascinating Hub. I enjoyed the journey very much. I am amazed that "nearby Little Glen Lake which at its current deepest is 12 feet. 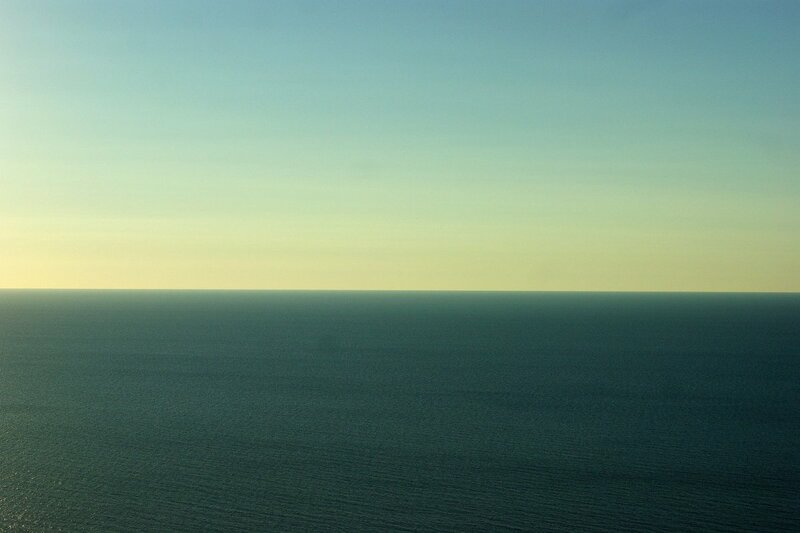 It used to be over 100 feet deep." Well done! Excellent article. Beautiful places. Photoshark, thanks for reading my hub and commenting. 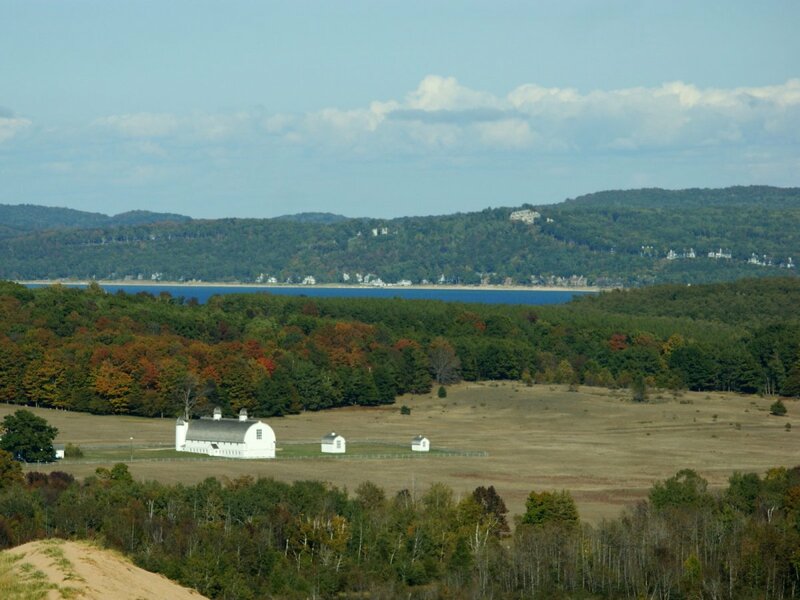 I moved here in 83 and so much has changed at Sleeping Bear since then. Right now they are putting in a bike path that will make much more of the Park accessible to more people. 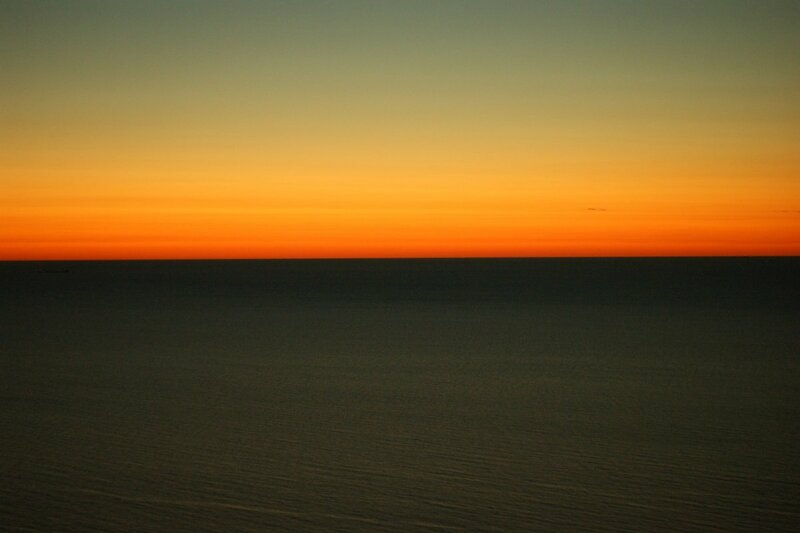 With a screen name like Photoshark I am sure you would love to photograph Sleeping Bear again. I've come a long way with my new camera, but still quite amateurish. Hello swflorida. Nice to meet a TC native here. Thanks for reading the hub and you must get back up here to visit. 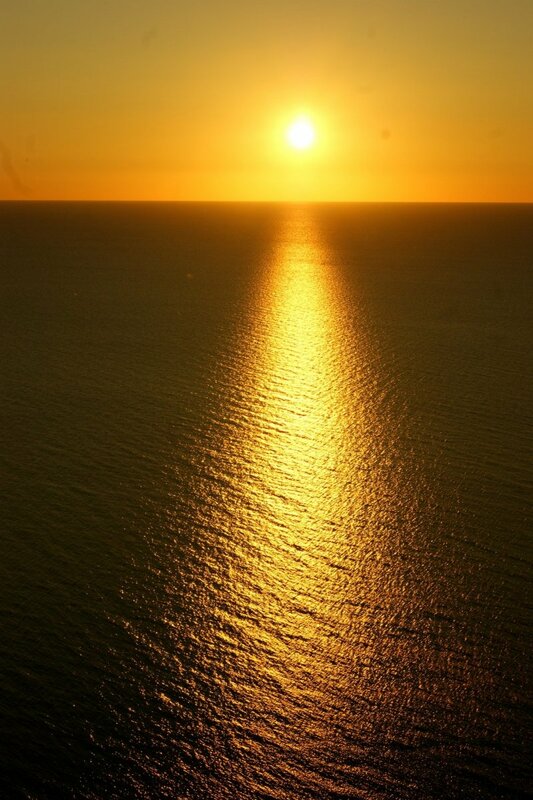 It is a great summer. 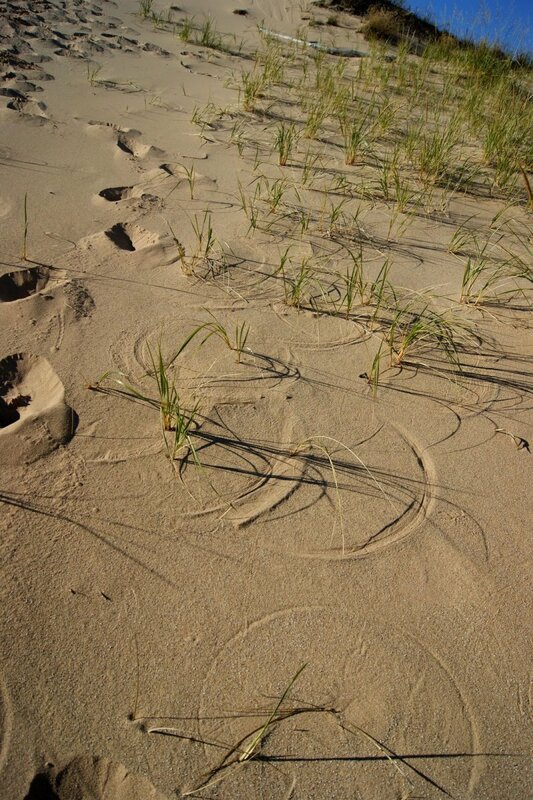 The weather is good for the beach, but not for growing things. Enjoy Florida. I may get down there this winter. Hi Chris, What a great hub. My husband and I are both from Traverse City and now live in Florida (and no, it suits us and we don't miss seasons at all..lol). 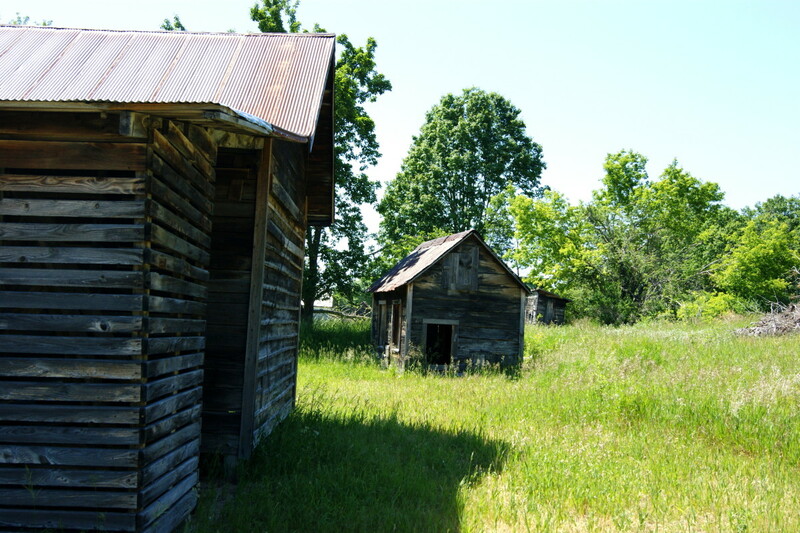 It is a beautiful town, with such a variety of ways to enjoy the beautiful area. We haven't been able to get back there to visit in awhile (sorry family! 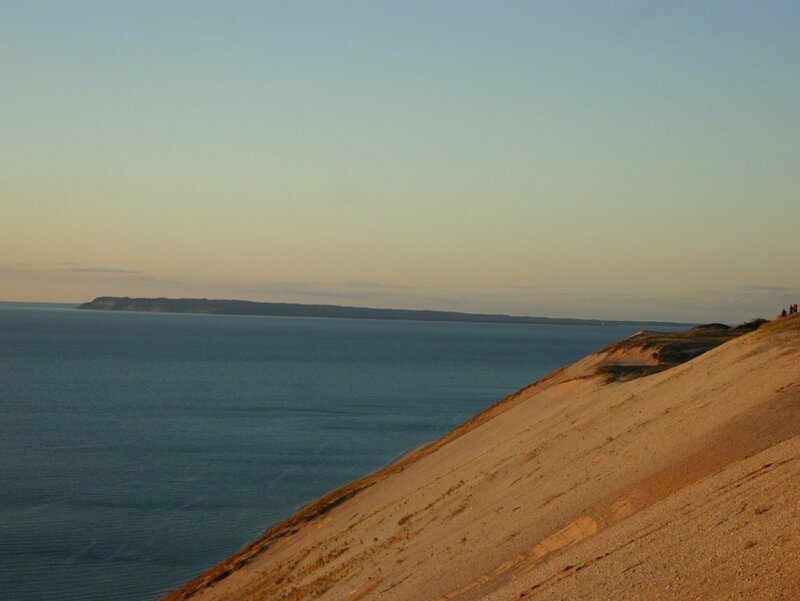 ), and sorry we missed the recent Cherry Festival : ( Sleeping Bear Dunes is a must, and there are other wonderful year round activities to enjoy. Great Hub! I would like to hear your comments about my hub so that I can improve next time I try something along these lines. This was definitely outside my comfort zone in terms of what I normally write about in my hubs. Any comments, positive or negative are welcome. Thanks nmdonders, Photography is a work in progress for me, but I had good views to work with. 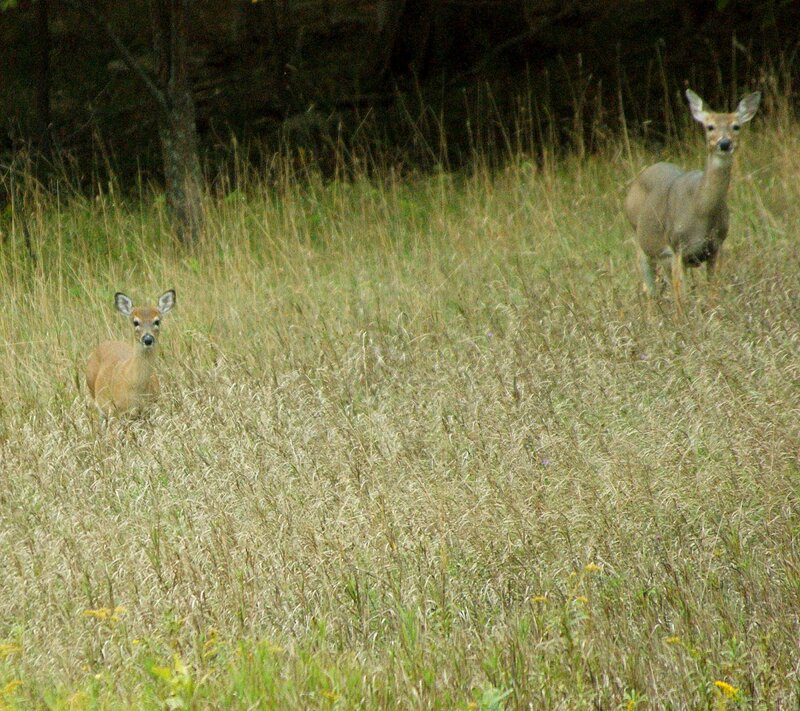 All this is within 5 miles of my house, so I am very fortunate. Beautiful. Stunning photos. 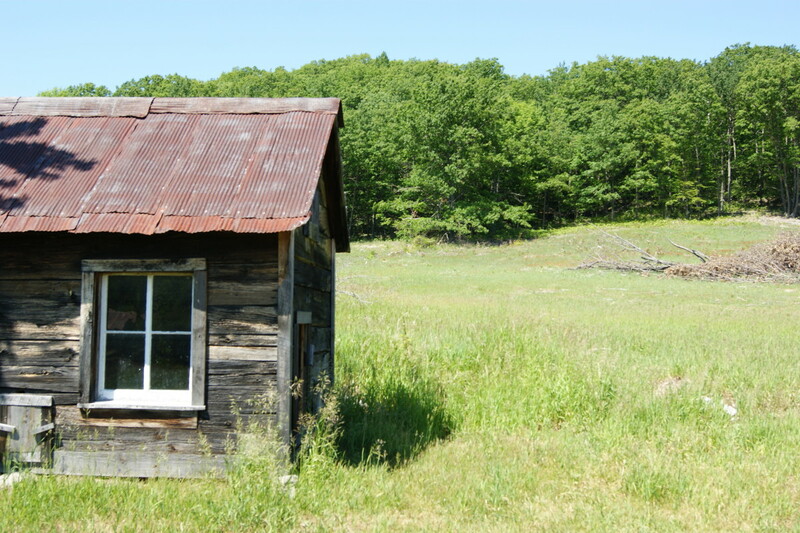 I would love to live in a little barn like that :) What a backyard! Thank you for sharing. IF you were wrong, who'd care. that is how beautiful this is.